We'll definitely want to add more events to this timeline. Perhaps we had better zoom in to allow room for more events. TimelineBuilder lets you zoom up to 16X! Just click the "add events" button at the top left. You can also turn the jazzy 1940's era music on and off from the speaker button to the very left. With upgrade release 2.0, we can now change the background! In fact, there are 8 new background choices! Perhaps we like this one better? 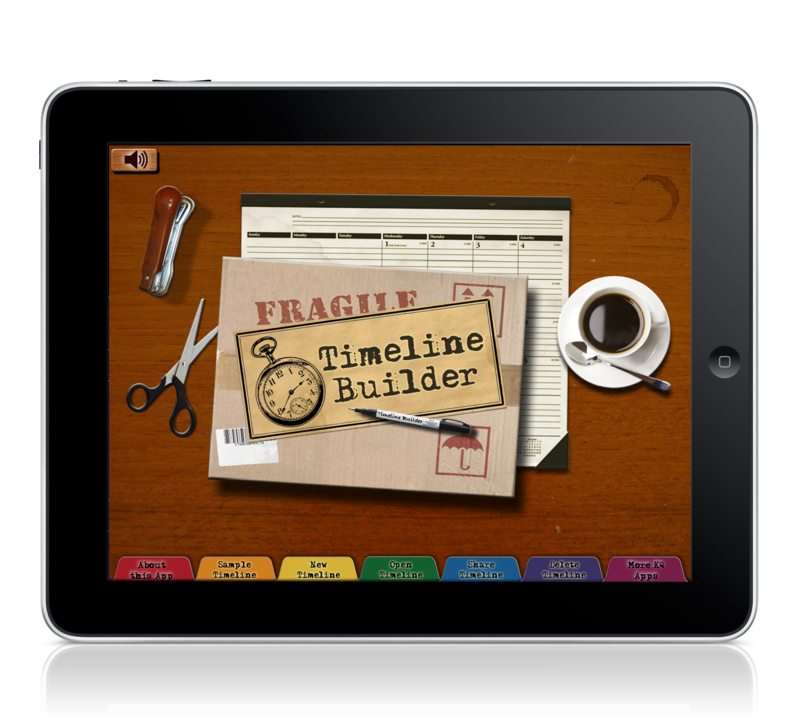 TimelineBuilder has over 100 reviews at the Apple App Store and has been written about on more than 50 blogs. These are all unbiased, although some received the app free. You can read some reviews here - http://schoolhousereviewcrew.com/knowledge-quest-review/. This link contains reviews for the Sacagawea ebook as well, so click just the relevant TimelineBuilder ones.